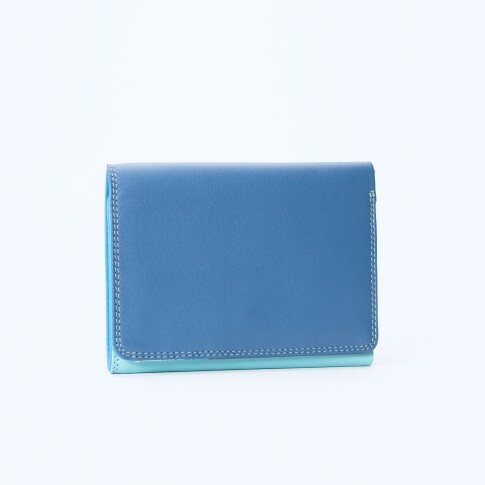 This tri-fold wallet is the perfect size for in your handbag. The soft nappa leather has been specially selected to match the colors of Van Gogh's Almond Blossom. Inside you'll find a zip coin pocket, a section for notes and space for eight credit cards. Measurements: 12 x 9 cm.